"Cinema Park” and “Formula Kino" - Russia’s largest cinema chain with more than 25 million visitors per year - decided to launch dynamic pricing at the 3 sites: CINEMA PARK Metropolis, CINEMA PARK Global City and CINEMA PARK MEGA Belaya Dacha. The goal is to reward moviegoers who book early and come to shows at non-peak times with attractive prices. Guests are offered three different price levels for movie tickets: “light”, “comfort” and “standard”. “Light” and “comfort” offer significant discounts to the standard rate and are optimized in real-time based on predicted demand, time of booking and pre-sales. 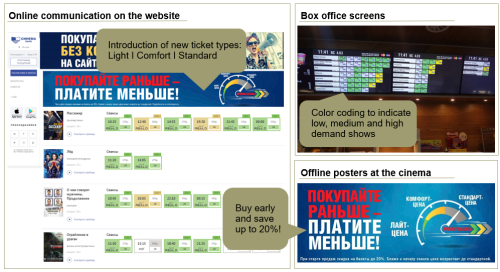 For the convenience of the customer, "Light" and "Comfort" rates are highlighted in green or yellow on box-office monitors and the theaters’ websites. “Dynamic pricing in cinemas is a major trend in 2018. Large international networks such as AMC-UCI and Regal are actively testing and implementing this system, which drives revenue in peak periods and increases attendance in non-peak periods. For us it is important that the largest Russian cinema chain "Cinema Park” and “Formula Kino" moves with the times and keeps up with world trends", states Roman Linin, CEO of the United Cinema Chain " Cinema Park” and “Formula Kino ". In January 2018, the German division of the world's largest cinema operator AMC Entertainment, UCI Kinowelt, switched to a similar model with the help of Smart Pricer. “Dynamic Pricing creates a true win-win situation for moviegoers, distributors and exhibitors. Moviegoers are rewarded for booking early and attending low-demand shows with more attractive prices. Exhibitors drive online sales and overall revenues, which also benefits distributors”, says Christian Kluge, CEO of Smart Pricer. The real-time dynamic pricing software is developed by the German company; Smart Pricer, which specializes in introducing airline-type dynamic pricing to the entertainment and sports industry. Smart Pricer is a Berlin based company that gives businesses in the entertainment and sports industry around the globe the necessary tools to increase ticketing revenues and attract more visitors. With their innovative analytics and real-time pricing software, Smart Pricer helps its customers achieve their commercial goals while enhancing visitor satisfaction. 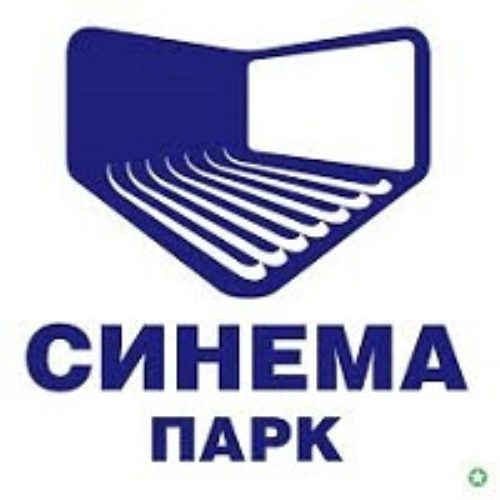 "Cinema Park” and "Formula Cinema” merged to form United Cinema Chain, the largest cinema chain in Russia. It includes 77 cinemas in 29 cities. At the moment, the chain operates 641 movie screens, that is almost every 7th screen in Russia. Industry leader, the largest Nationwide Multiplex Chain in Russia, which includes 31 digital movie theatres (291 auditoriums). CINEMA PARK movie theatres are located in 19 cities of Russia. The company takes the 1st place in number of screens, total box office and digital technologies for film exhibition. Each year, the cinema network is visited by over 18 million viewers. The company manages 17 IMAX and 9 4DX auditoriums in Russia. About Formula Kino: Formula Kino operates 37 theatres across Russia and the Ukraine. The company's film programming strategy includes the most anticipated blockbusters as well as original language films with Russian subtitles and a variety of art-house and festival programming. Currently, Formula Kino operates five IMAX theatres, two of which are IMAX Sapphire theatres.